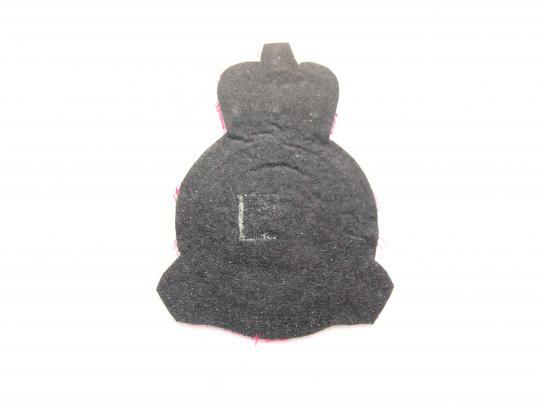 Measures 4 1/8" x 3"
No. 230 Squadron is an RAF squadron, currently based at RAF Benson. 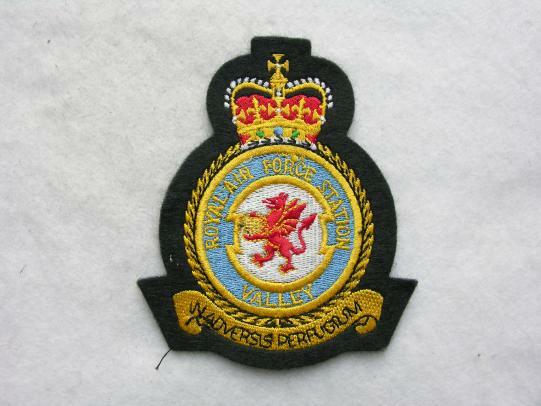 The squadron was part of Royal Air Force Germany, operating the Puma HC.1 there from 1980. 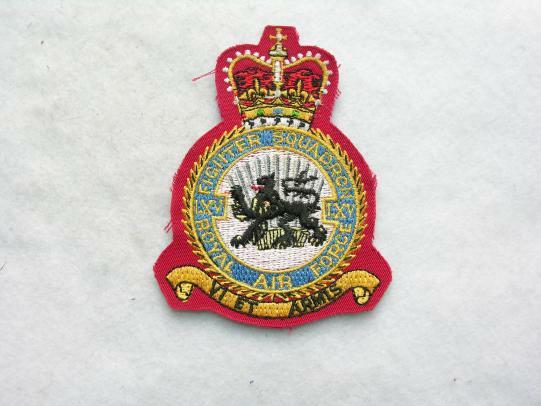 Following the drawdown at the end of the Cold War, the squadron disbanded on 30 April 1992. This was short-lived however and the squadron reformed at RAF Aldergrove on 4 May 1992, again with the Puma HC.1. No. 25(F) Squadron (alternatively No. 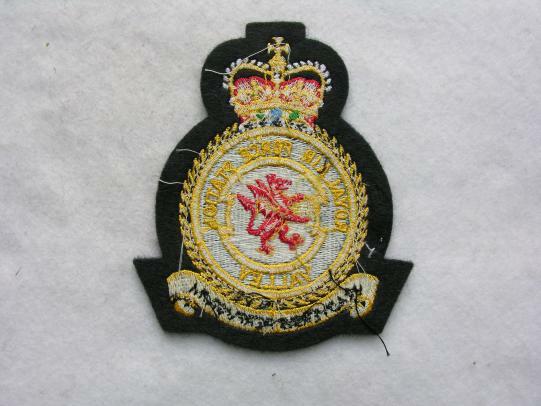 XXV(F) Squadron) was a squadron of the Royal Air Force. Until April 2008 the squadron operated the Panavia Tornado F3, from RAF Leeming. 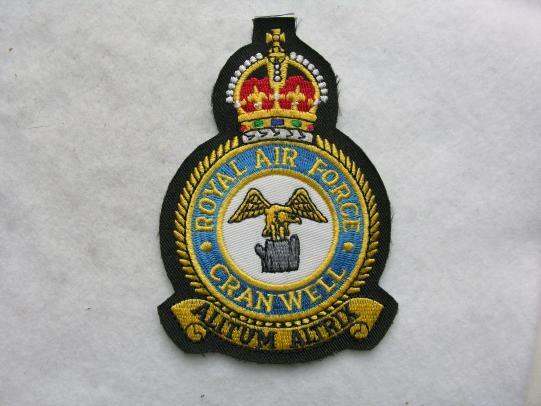 RAF College Cranwell is a thriving RAF Station in the heart of Lincolnshire with a long and distinguished history dating back to its foundations as a Royal Navy Training Establishment in 1916. It was the world’s first Air Academy and today, it continues to select and train the next generation of officers and aircrew. Were based at Conngsby flying Tornado aircraft. In 1946, the unit converted to the Spitfire LF.XVIe and then the de Havilland Hornet, the Gloster Meteor F.4 and F.8, then the Hawker Hunter F.6. at RAF Duxford from August 1951 until the squadron disbanded in 1961, and then reformed in 1964 as a surface-to-air missile unit, operating the Bristol Bloodhound. 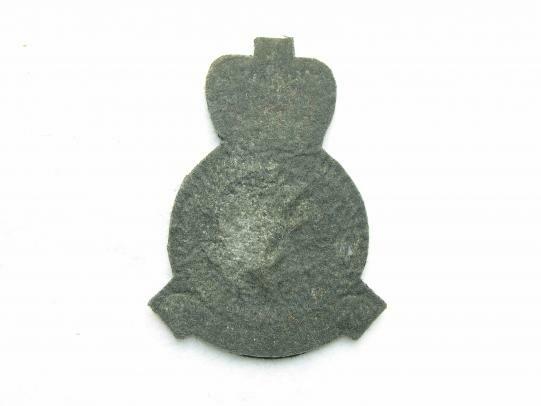 During this period, it was based at RAF Seletar, Singapore, and it disbanded again in 1970. From 1970, No 65 Squadron became the reserve squadron number for No 226 Lightning Operational Conversion Unit at RAF Coltishall, until its disbandment in the mid 1970s. It was thereafter the reserve squadron number of No 229 OCU at RAF Coningsby. 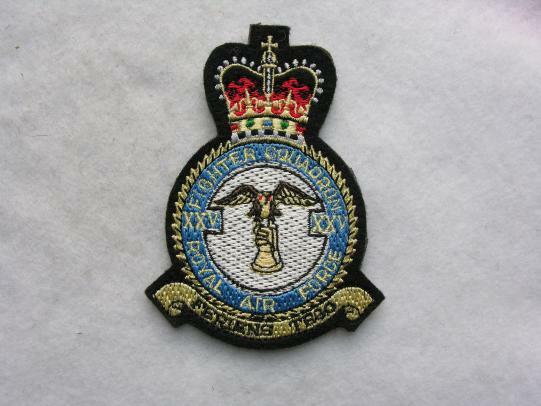 It was last disbanded at RAF Coningsby in June 1992, by re-numbering as No. 56 (Reserve) Squadron, after serving as the Operational Conversion Unit for the Tornado F.2 and F.3 fighter, with the alternative identity of No. 229 OCU. 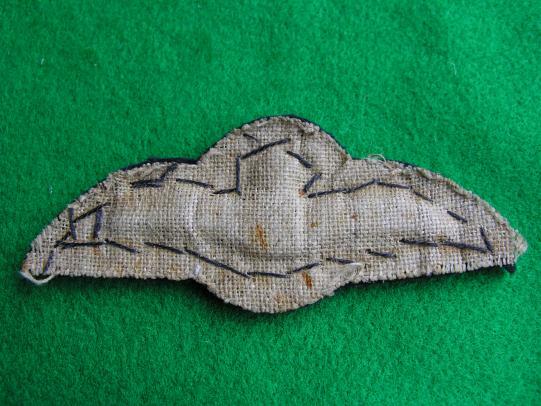 A scarce origin Gerrman Air Force Jagdbomberstaffel 431 Sqd.Tiger-Meet patch in very good condition given it is 47 year age. 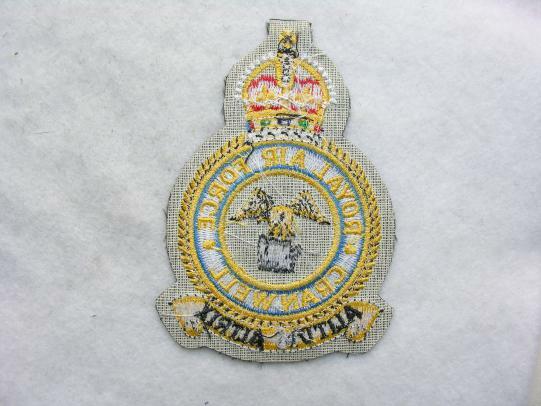 Embroidered on felt. The NATO Tiger Association or the Association of Tiger Squadrons was established in 1961. The USAFE (United States Air Force Europe) 79th TFS (Tactical Fighter Squadron) took the initiative and on 19 July 1961 they invited No. 74 Squadron RAF and EC (Fighter Squadron) 1/12 Provence of the French Armée de l'air to Woodbridge in England. France was then a full military member of NATO. 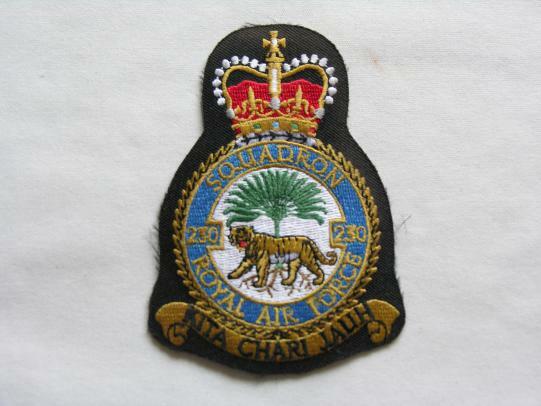 The squadrons included in the Association are 24 full members, 10 honorary members, and 7 disbanded members, all of which have a tiger as part of its squadron crest. As well as being opportunities for NATO air forces to share ideas and experiences, the ‘Tiger Meets’ are also public relations exercises for NATO. NATO aircraft are often brightly painted with tiger stripes. A good scarce Tiger Meet 1971 Patch for the Fairford meet. Fully embroidered. 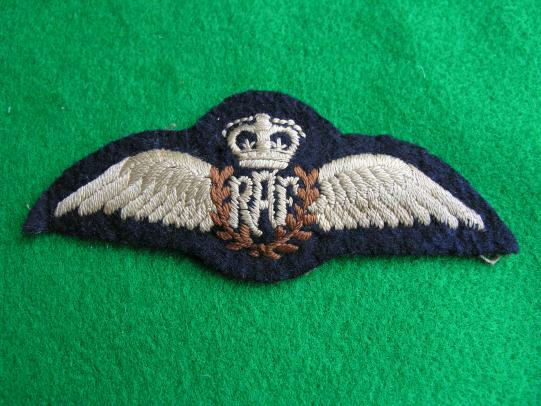 Measures 4" x 3 3/8"
A rare early 1950's RAF Pilot Wing, padded type in excellent condition.